Eurosell sliding patio doors are ideal for renovation and construction projects for your home, condo or apartment building. It is virtually maintenance free and offers high energy efficiency having been tested to severe weather conditions. Its minimalist frame and large window surface provides unobstructed views and places your garden front and centre. These doors has a high degree of protection against water infiltration, making it well-suited to residences located near water. Its all-PVC construction makes it easy to clean and its system of rollers maximizes smooth, easy operation. The elegant styling allows you to enjoy your garden all year round from the comfort of your home. 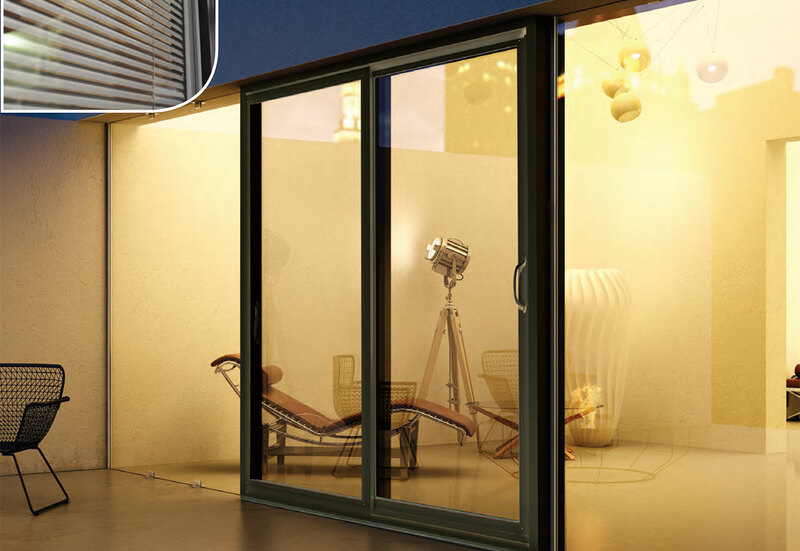 Why choose Eurosell Sliding Patio Doors? We offer a comprehensive range of sliding patio doors, in various grills and finishes to suit your every need, coupled with the benefits of high security, low maintenance and superb insulation. 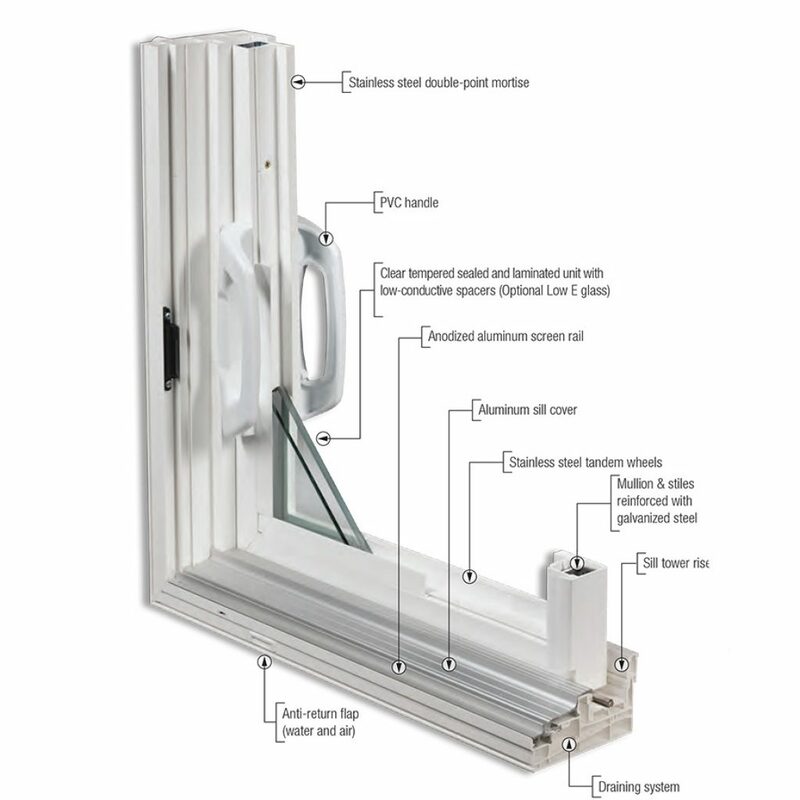 Below is a complete list of further features that ensure our sliding patio doors are way ahead of any competitor out there. Recommended for renovation and new construction , residential projects: single family, condos or multi-units. Structural transoms and sidelites minimize air &water infiltration. Thermally welded frame & panels. Maintenence free, all PVC with construction integrated nail fin and easy installation. Large glass area and minimal frames in your view. Sizes up to 16′ x 8′(W x H). Tandem wheels for easy and smooth operation. Integrated white or stain grey blinds with Low E glass, available.